Japan ranks as the second largest music market in the world, just after the US, accounting for 25% of global trade revenues. While digital sales continue to rise, physical formats in Japan still account for over 72% of total recorded music sales there. Audiences in Japan are exposed to western culture and influences through trade, tourism, media and the Internet. Popular genres include everything from Pop, Hip Hop, Alternative Rock, Hard Rock, Punk, and Jazz to Classical with a large range of them enjoying good sales. Music fans are among the most knowledgeable and sophisticated in the world. They do not tend to follow fads or charts and their demands for music can be met by Canadian artists and repertoire. Japan’s well developed and vibrant live music market makes it one of the world’s main touring destinations. Indie Canadian acts such as Broken Social Scene and Crystal Castles have enjoyed success in Japan, having toured the country on numerous occasions. Summer music festivals such as Fuji Rock and Summersonic have an average of about 45,000 attendees per day, and are key events in the international circuit. There are hundreds of live houses in Tokyo alone, most with capacities ranging from 50 to 200 people. Some larger ones have seating capacities for about 1,000 with excellent PA and lighting equipment. This thriving live industry is ideal for new and emerging Canadian artists and Canada’s independent music sector. In a market where International repertoire physical sales amount to US$548.19 million, Canada can fully benefit from an intimate knowledge of the local music industry and its key players. 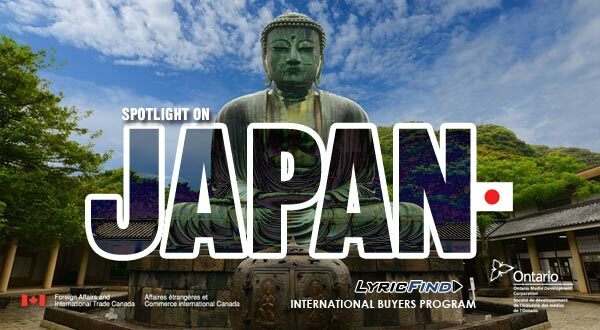 Through market overview presentations, seminars, business meetings and networking sessions, the Japanese region, including Seoul, will be brought into light for Canadian music companies to find a home for their artists.